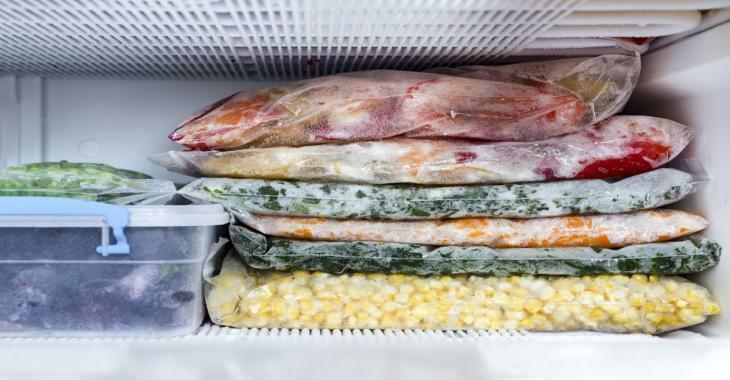 It's not just frozen foods that go into the freezer. The website "Comment Économiser" shows that there are many ways to use this appliance to save money, avoid wasting food and avoid having to go to the grocery store every other day. Just freeze them in a bag and take out the ones you need later, and heat them in the microwave. This is a quick snack on weekdays! To freeze the cheese, grate it and add one tablespoon of cornstarch. You will be able to keep it for several months ! Freeze it in small bags. You will always have some on hand for all your meals. If you like smoothies, freeze your fruits in individual bags so you can always have the desired portion. If you're making pies in large quantities, put the pies you do not eat right away in a bag. You will only have to reheat them in the oven. Do not hesitate to make provisions for all winter! Simply roast your tomatoes in the oven for five hours, and add some spices and oil. Then freeze them to always have a base for your dishes! The corn season is already over. However, you can keep the corn cobs in the freezer. Just warm it in the microwave for five minutes and you'll feel like you're in July! Keep your pesto in ice cube trays, so you'll always have it on hand. If you want to be able to bake cookies to satisfy a craving, the frozen cookie dough will only take one or two minutes to cook. Yes, you can freeze your potato chips! They would even taste better than the original ones! The eggs can be kept in the freezer in freezer bags. Don't waste the eggs! Sandwiches can be easily stored in the freezer. Store your lunches of the week and take one each morning. At noon, it will have had time to thaw, while being cool for your pleasure!